The origin of today’s profession of landscape architecture can be traced to the early treatments of outdoor space by successive ancient cultures, from Persia and Egypt through Greece and Rome. During the Renaissance, this interest in outdoor space, which had waned during the Middle Ages, was revived with splendid results in Italy and gave rise to ornate villas, gardens, and great outdoor piazzas. These precedents, in turn, greatly influenced the chateaux and urban gardens of 17th-century France, where landscape architecture and design reached new heights of sophistication and formality. The designers became well-known, with Andre le Notre, who designed the gardens at Versailles and Vaux-le-Vicomte, among the most famous of the early forerunners of today’s landscape architects. In the 18th Century, most English “landscape gardeners,” such as Lancelot “Capability” Brown, who remodeled the grounds of Blenheim Palace, rejected the geometric emphasis of the French in favor of imitating the forms of nature. One important exception was Sir Humphrey Repton. He reintroduced formal structure into landscape design with the creation of the first great public parks Victoria Park in London (1845) and Birkenhead Park in Liverpool (1847). In turn, these two parks would greatly influence the development of landscape architecture in the United States and Canada. 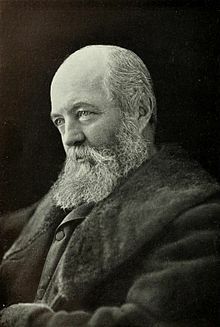 Frederick Law OlmstedThe history of the profession in North America begins with Frederick Law Olmsted, who rejected the name “landscape gardener” in favor of the title of “landscape architect,” which he felt better reflected the scope of the profession. In 1863, official use of the designation “landscape architect” by New York’s park commissioners marked the symbolic genesis of landscape architecture as a modern design profession. Olmsted became a pioneer and visionary for the profession. His projects illustrate his high professional standards, including the design of Central Park in New York with Calvert Vaux in the late 1850’s and the U.S. Capitol Grounds in the 1870’s. Olmsted and the Brookline, Mass., firm he founded advanced the concept of parks as well-designed, functional public green spaces amid the grayness of the urban areas through the well practiced principles of landscape architecture and city planning. In the ensuing years, the profession of landscape architecture broadened. It played a major role in fulfilling the growing national need for well-planned and well-designed urban environments. Urban parks, metropolitan park systems, planned suburban residential enclaves and college campuses were planned and developed in large numbers, climaxing with the City Beautiful movement at the turn of the century. Although the profession itself grew slowly, its early practitioners, including Olmsted, Vaux and Horace Cleveland, were among the first to take part in the town planning movement and to awaken interest in civic design. Olmsted also joined other early landscape architects in working on projects in other urban settings, such as at Yosemite Valley and Niagara Falls. In 1899, the American Society of Landscape Architects was founded by 11 people in New York _ most of them associated with Olmsted. The Society continued to represent landscape architects throughout the United States. In 1900, Olmsted’s son, Frederick Law Olmsted Jr., organized and taught at Harvard University’s first course in landscape architecture. Landscape architecture continued to influence the city beautification and planning movement well into the 20th century, as growing cities used the services of professionally-trained landscape architects. 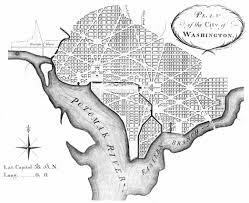 L’Enfant Plan of the future city of Washington, D.CThe L’Enfant Plan for the nation’s capitol was revived and expanded by the McMillan commission of 1901. Chicago, Cleveland and other cities also used landscape architects to lay out comprehensive development plans. By the 1920’s, urban planning separated from architecture and landscape architecture as a separate profession with its own degree programs and organizations. Yet, landscape architecture continued to remain a major force in urban planning and urban design. During and after the Depression, opportunities to design national and state parks, towns, parkways and new urban park systems broadened the profession. The orientation of American landscape architecture returned to its roots in public projects _ a trend which has continued throughout the mid-20th century to today.